April is “Autism Awareness Month,” a time where national landmarks light up blue and people share stock photos with phrases like “I support Autism” or “30 days of Autism Awareness.” It’s one of the few times a year when autism is actually recognized or even acknowledged in popular media. It can be easy to forget that autism is actually an everyday part of life for a large number of families in America. According to the Center of Disease Control’s most recent statistics, in 2012, 1 in 68 children were placed on the autism spectrum. My younger brother is one of those 68 children and he’s part of the spike in autistic diagnoses that occurred in the late 90s and early 2000s. While he’s always my brother first and a person with moderate autism second, the autism awareness campaign always makes me reflect on his disability. To be honest, autism is a very confusing disability, and even though my brother has it, there have been times where I have even struggled to understand it. Medically speaking, autism is a neurological communication disorder that affects an individual’s verbal communication and motor skills. Additionally, it can also impact their cognitive intelligence. I find that this very clinical definition of autism doesn’t really give a sense of what autism is like beyond it’s biological functions. While I’m not on the spectrum myself, I think I can offer some insights on what autism is like in a more tangible context. I would best describe autism as a barrier between the person’s inner self and the rest of the world, almost a metaphorical wall or fog that prevents my brother from fully expressing what he is experiencing. Of course, autism is a spectrum and depending on where you fall on the spectrum, your barriers are different. My brother falls in the middle of the spectrum, where his disability greatly impacts his life and prevents him from living or expressing himself to his full potential. But autism isn’t something that gets better over time, instead it gets harder as autistic children get older. When they are young kids, everyone else their age is dependent on their parents. I’ve also found that people are a lot more accepting of disabled kids when they are still the age where they are cute. However, like everyone else, people on the autistic spectrum grow up and it becomes harder for families to protect and care for them. 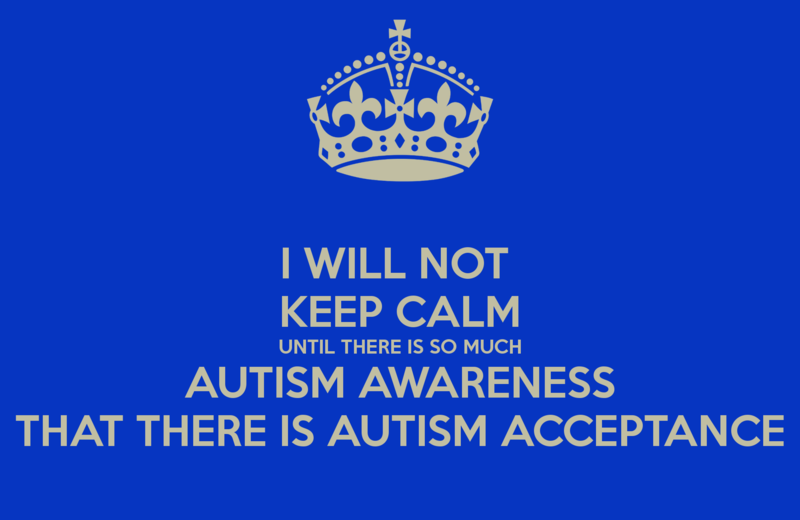 The unfortunate reality is a large portion of people on the autism spectrum will never be fully independent and many parents with autistic children live in fear of what will happen to their children when they are gone. I know that responsibility personally, and when it falls to me, I will embrace it, knowing that when my parents can no longer take care of my brother, I will guide him through adulthood. As many siblings of children with disabilities feel, I was conflicted going away to college. On one hand, I felt like I was abandoning my brother, selfishly taking part in an experience he would never get to have, while on the other hand I was excited to pursue my degree in Media Production. After a lot of contemplation I knew going to college would help me get a better job and therefore allow me to support my brother in his adult life. I would say there is truly no right or wrong answer, it’s about doing what is best for yourself and your sibling long term. Unlike other siblings, keeping in touch with a sibling on the autism spectrum presents a unique set of communication challenges. Calling him up on the phone isn’t really an option, because it’s hard to get even yes or no answer out of him and often he’ll sit silently leaving it to be a completely one sided conversation. For example, one time we tried Facetiming and it did not go well, he had trouble maintaining a conversation with me even on the screen. Instead, it turned into him bringing me around our house virtually but going about his day as if I wasn’t on Facetime. However, we have found other ways to stay connected; he’s always on his iPad so Facebook Messager is the best and least stressful way for him to keep in touch with me. Snapchat has also become a fun medium for him to keep me updated on what’s going on in his life. Also, many people with autism have trouble expressing or understanding their emotions, but social media has helped with that. While he’s never going to text or message me to tell me he misses having me at home, I know when he stalks my social media profiles and likes and relikes old posts of mine that he’s thinking of me. As this month continues, it’s important to take time to reflect on the impact autism has on individuals, as well as, the community at large. While sharing a”light-it-up” blue photo to Facebook may be a very public way to show your support, less public strides can often achieve a greater impact. For example, you can support companies, such as Home Depot, Walgreens and Shaw’s, who have programs that give disabled workers jobs. The importance of these program plans should not be underestimated because they provide both a monetary independence and, even more importantly, a sense of purpose. Furthermore, you can choose to make a committed effort on a personal level to be more accepting and inclusive to people on a daily basis. I can promise that behaviors such as these will be noticed by people on the spectrum and their families, because even in this alleged age of acceptance, autism still faces a great deal of stigma. By leading by example and educating others to do the same, it is possible to help break down the stigma surrounding autism. Ultimately, the goal of “Autism Awareness Month” is to show that people on the spectrum are not defined by their disability.